This is your lung on NGLY1. Bertrand is into a regular hospital room. He improved rapidly yesterday (as measured by his ability to breath with decreased assistance), to the point where I got optimistic he might go home. Unfortunately, his oxygen kept dropping on room air, so they wouldn't release him. Today, he's still having lower oxygen on room air alone, but it's only problematic when he's asleep. 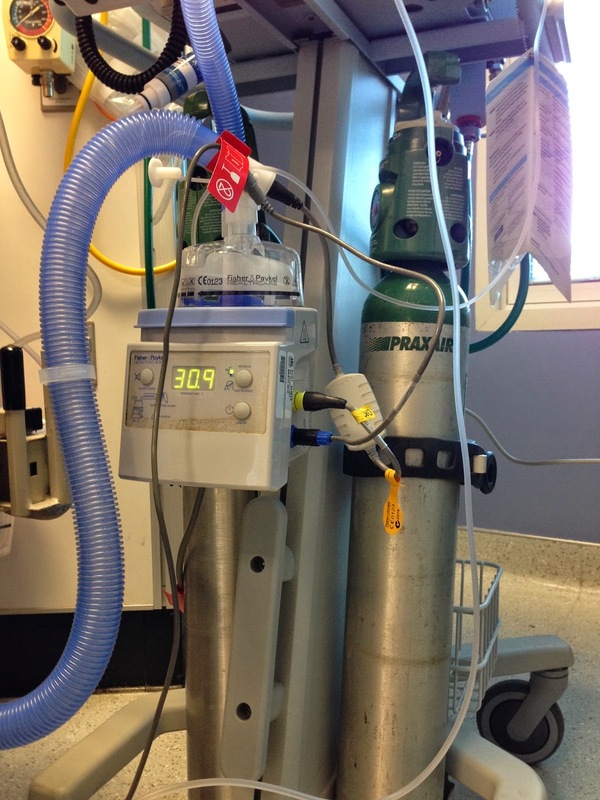 It's likely he'll be discharged soon, but with a home oxygen machine and portable tanks. The NIH sleep study results came back, and they showed 10 central apnic episodes per hour (and low oxygen overall), so we'll also be looking at more complete and permanent solutions for his breathing, especially at night.